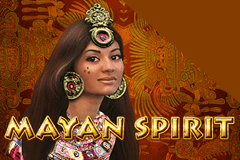 Inspired by the sights and colours of the ancient Central American civilisation, the Mayan Spirit video pokie from EGT has 5 richly-decorated reels, along with some potentially rich rewards such as free spins and a 4-level progressive jackpot. While EGT have proved themselves quite capable of developing innovative pokies and unique features, Mayan Spirit isn’t one of those games and has somewhat basic, but tried and tested bonus rounds. Artwork is typical EGT style, meaning high quality images that are very realistic, although standard playing card symbols will tend to create most of the winning combinations. Those wins come from landing 3, 4 or 5 of the same symbol across any of the 40 paylines that are activated, on adjacent reels from the left side, but there’s a wild symbol that can help to complete lines and a scatter that pays in any positions. Players have the option to activate 1, 10, 20, 30 or all 40 lines, but only combinations that land on lines in play will count. The low limit to get the reels spinning is set at just 0.01, or 0.40 to get the whole game in play, and there’s the option of trying it all out with the free Mayan Spirit video pokies that most casinos offer. It may be a little basic, but Mayan Spirit still looks good, having a decorative pattern behind the reels and colourful symbols spinning down them in 4 rows. Above the reels are the 4 levels of the Jackpot Cards progressive feature, each linked to a playing card suit, while below the main part of the game, we find the control buttons that as well as setting bet levels and activating the spins, can be used to open up a pay table. The pay table outlines what each combination will pay out, listing the number of times the line bet equivalent is awarded for each. The 9, 10, J and Q symbols, featured in so many pokie games, will each return wins equal to 5, 20 or 100x when landing on 3, 4 or 5 reels. K and A symbols are each valued at 5, 50 or 150x, while the toucan and a majestic jaguar will each pay out 20, 75 or 250x. The top value symbols are of an attractive Mayan woman and stern-looking man, with payouts of 25, 100 or 400x awarded when they stop across active paylines. A decorative Mayan calendar doesn’t predict the end of all things, like some believed it would a few years ago, but players can hopefully predict a few decent wins coming from this symbol when it appears on a line, as it’s worth 20, 200 or 1000x the line bet. 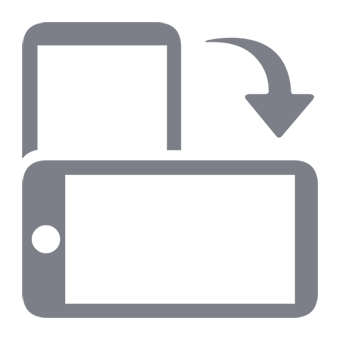 This is also a wild symbol that’s able to substitute for others to complete winning combinations if needed, or stretch a win across extra reels to a higher-value award. The wild is stacked, making it easier to complete lines, although it won’t be able to act as the Mayan pyramid symbol, which is a scatter icon that’s worth 2x the total stake when landing in any 3 positions on the middle reels at once. As well as paying this modest award out, the scatter will also trigger 5 free spins, which isn’t many and a bit disappointing, especially as there’s no extra features on the reels to make collecting a win easier during the bonus games. At least there’s the possibility of retriggering these spins should 3 scatters appear at any point, and if this happens, 5 more games will be added on to the current round. An optional double or nothing gamble can be made with any wins of less than 1400 coins. Players will need to correctly pick if a playing card is going to be from a red or black suit to win the round, having the further option to double it again if successful, but losing the gamble and the triggering win if they get it wrong. The Jackpot Cards progressive round is randomly awarded and players will need to click on 12 paying cards until 3 of the same suit are found. Depending on which is found, the Club, Heart, Diamond or Spade jackpot is then won. Mayan Spirit is a fairly simple online casino pokie machine, but players who like to overall look should find steady wins coming in. The bonus features are uncomplicated, which is just what many punters want, and the potential to multiply wins in the gamble round means that they could turn a modest prize into something pretty substantial, although the Jackpot Cards progressive feature is only going to be triggered by a lucky few.